If 2012 was the year Microsoft set the table for Windows 8, then 2013 is the year the company must prove that the new OS stands out in an increasingly mobile world. Unfortunately, sales of Windows 8 devices have not been impressive so far as Microsoft vies for acceptance in a market that has gone through a transformation since the PC-centered glory days of Windows XP and, more recently, Windows 7. Indeed, consumer interest in tablets and smartphones as supplements or even replacements for traditional PCs has skyrocketed in the past two years. Microsoft, all too aware of this sea change, designed Windows 8 for smooth navigation on touch-screen devices. On the smartphone side, Windows Phone 8, with its promise of seamless integration with Windows 8, is available from well-regarded hardware partners such as Nokia and HTC. Yet Windows Phone sales have been slow even with near-ubiquitous advertising. Online market tracker comScore reported last week that Windows Phone has a meager 3 percent of the U.S. smartphone market. This all adds up to a slow-moving former juggernaut trying to reinvent itself in rapidly changing times. Microsoft still has lucrative divisions within the company that sell products in high volume to big companies through multi-year licenses. These cash cows such as the business division (mainly the Office suite of products) and the server and tools division, will need to prop up the company as Windows 8 and Windows Phone fight for acceptance. "Microsoft has two stacks of products - one stack is strong and the other is questionable," says Wes Miller, research vice president at independent analyst firm Directions on Microsoft. "Products like Xbox Live, Server and Tools, Windows Azure, Windows Server 2012 and Office 365 for businesses will make enough money this year to prop up struggling parts of the company. But Windows 8, mobile and consumer adoption remain question marks." Veteran tech analyst Roger Kay contends that Microsoft's cash cows are, in fact, dwindling, leaving Microsoft more vulnerable than ever in 2013. Financial results for Microsoft's last quarter confirm that revenues for the Windows and Office divisions are both down year-over-year, Windows much more so than Office. "Microsoft's main weakness is that Windows and Office are no longer growing," says Kay, adding that he is doubtful that Microsoft can still invest in newer markets while shrinking cash cows maintain the company. The biggest shock to Microsoft's system, he says, is diminishing Windows revenue over the past year, which will be particularly troublesome if Windows 8 fails to catch on in 2013. "Windows 8 showcases touch, which is useful, but not in non-modern form factors like desktops, which are still widely used in the enterprise," says Kay. This underscores the risks of putting the touch-centric Windows 8 user interface (formerly known as Metro) front and center on laptops and desktops, machines that have not made much use of touch-screens in the past. "I'm just not sure the demand is there for touchscreens on laptops and desktops," says Miller. "But, to be fair, Windows 8 is only two months old so we should give it some more time to find its audience." However, one thing is clear: Enterprises do not have much motivation to adopt Windows 8 wholesale for all employees like they did with Windows 7. Kay predicts that businesses will use Windows 8 and Windows RT tablets as sidekicks to existing PCs, but that's "not likely to provide the revenue that Microsoft needs and has come to expect from Windows, and Microsoft is a company designed for high volume and high revenue." Did Microsoft betray partners with Surface release? Last year, Microsoft surprised its hardware partners (to put it mildly) by announcing Surface, a Microsoft-branded tablet with versions running Intel-based Windows 8 Pro and ARM-based Windows RT. The Surface marks a bold break with tradition as Microsoft finally adopted Apple's integrated hardware-software model for its own devices. 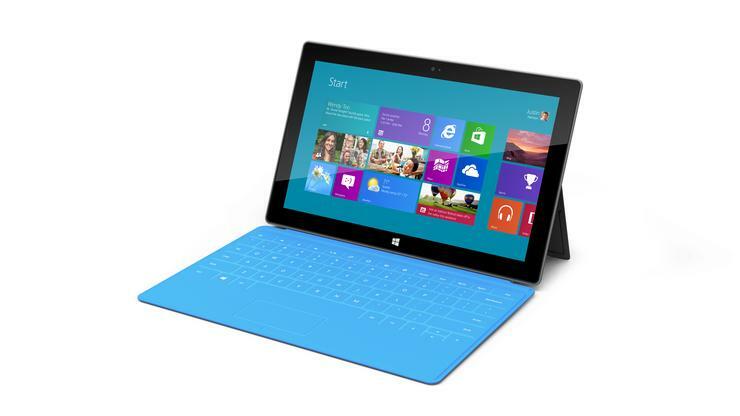 So far, sales of Surface and other Windows 8 devices have been lackluster. Whether Surface becomes a flagship product or a flash in the pan, analysts agree that it has done damage to Microsoft's relationship with hardware partners. "Microsoft has a long history with OEMs, so some see the Surface as a betrayal," says Miller. Kay agrees, stressing that the tarnished relationship between Microsoft and its hardware partners was apparent in the weeks following the Windows 8 launch. "You could tell things were out of sorts when there was a lack of hardware in retail-- and no coordination among OEMs at Best Buy and the Microsoft Store [in the US]," he says. "I think it's because Microsoft turned on partners without much warning." The Surface does have appealing features such as an elegant hardware design and ClearType high-resolution display, a nifty keyboard/cover and the inclusion of Microsoft Office, but the Windows App Store remains low on quality apps compared to iOS and Android, and right now there is "poor ecosystem leadership at Microsoft," says Kay. In Microsoft's defense, the Windows Store now has 20,000 apps, quadrupling its size since the Windows 8 launch in October. But availability of blockbuster apps is still hit-or-miss. "The reality is that Apple has the consumer locked and hardware partners are choosing Android over Windows," he says. "For so long, Microsoft was the one, but the company will have to get used to being one of many." The days of Windows dominance may be waning, but according to Forrester Research senior analyst David Johnson, Windows 8 will still keep Microsoft in the enterprise and consumer games in 2013. Despite being a late entry in the mobile market with fewer apps and higher resource requirements than iOS and Android, Windows 8 still has big advantages even with its two-headed user interface, notes Johnson. First, Microsoft is the only vendor with a tablet and desktop operating system in one, allowing one Windows 8 tablet to replace both a PC and a tablet, thus saving the customer money in the long run as well as potentially attracting developers. A Windows 8 tablet is also the only tablet that will run the full Microsoft Office 2013 suite. Additionally, Microsoft touts enterprise management features within Windows 8, but that could be a double-edged sword on tablets, warns Johnson. "Windows 8 still requires the same care as Windows 7, including patching, software deployment, provisioning and antivirus protection," he says. "At the same time, Forrester clients report they trust iOS devices for corporate use with comparatively few controls in place such as passcode enforcement and the ability to wipe the device remotely." Johnson emphasises that iPad adoption and management is an easier problem to solve for many businesses than permitting Windows 8 tablets, a trend that could become a major problem for Microsoft throughout this year. Nevertheless, Johnson says he believes that by the end of 2013 Microsoft will be in a better position than many expect. More Windows 8 apps will be available and the tile-based user interface will grow on employees and consumers, he says. "We expect to see Windows 8 to slowly become a driving force behind BYOD [bring your own device]." But Microsoft's ultimate weapons in 2013 may just be time, money and marketing muscle, says Miller of Directions on Microsoft. "The company has told me that Windows 8, Windows Phone 8, Office 2013 and SkyDrive are all long-term bets. Microsoft has the resources to fight this fight for a long time." Shane O'Neill is the assistant managing editor for CIO.com. Follow Shane on Twitter @smoneill.